Israeli forces continued with systematic crimes in the occupied Palestinian territory (oPt) for the week of 03 – 09 August 2017. 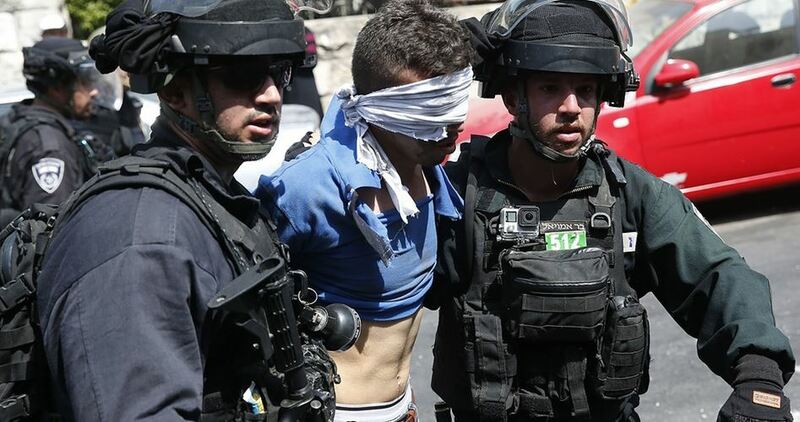 Ten Palestinian were wounded, including 9 civilians, in the West Bank and Gaza Strip. Five of them were wounded in the West Bank and 5 others in the Gaza Strip, while Israeli warplanes targeted two military sites in northern Gaza. 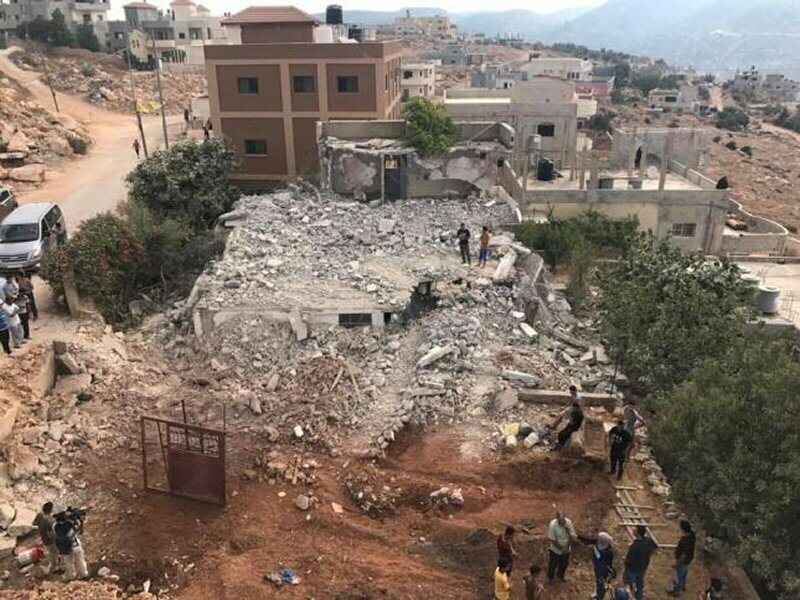 Concerning settlers’ attacks against Palestinian civilians and their property, on 04 August 2017, dozens of settlers from “Karayat Arba’” settlement, east of Hebron, attacked Palestinian houses in Jaber neighbourhood to the east of al-Ibrahimi Mosque with stones. They also attacked Palestinian civilians under the protection of the Israeli police and forces, who did not lift a finger to prevent them. As a result, Tariq Rebi’ie Tamimi (40) was wounded to the left hand and sustained fracture in the palm of his hand. Moreover, Menwer Jaber (40) was wounded to the head and transferred to Hebron Governmental Hospital to receive medical treatment. This resulted in grave violations of the economic, social and cultural rights and a deterioration of living conditions for 2 million people. The Israeli authorities have established Karm Abu Salem (Kerem Shaloum) as the sole crossing for imports and exports in order to exercise its control over the Gaza Strip’s economy. “I live with my family in al-Masharqa al-Fouqa area between “Kiryat Arba’“ settlement and al-Ibrahimi Mosque. At approximately 21:00 when I was home, I heard some shouting in front of the house. I then headed to the window and saw 5 children from our neighborhood walking on the street and around 30 Israeli settlers; most of whom were young, cursing them. One of the children namely Mahmoud Nihad Jaber (7), shouted at the settlers. In the meantime, one of Israeli soldiers came and pushed Mahmoud to the wall and held his hand. I then opened my house door to see what was going on, during which a number of Palestinian young men gathered and attempted to rescue Mahmoud. Meanwhile, the Israeli settlers attacked Ahmed Abed al-Kareem Jaber (15) and hit him with their hands. Ahmed attempted to defend himself, but 3 Israeli soldiers attacked him and pushed him to the wall. Ahmed fell into the ground, during which 2 Israeli soldiers sat over him and started punishing his head and back and then took him away. Israel has revoked the status of at least 14,595 Palestinians from occupied Jerusalem since 1967, Human Rights Watch (HRW) said in a new report issued Tuesday. Israel’s revocation of the residency status of thousands of Palestinians from East Jerusalem over the years illustrates the two-tiered system Israel maintains in the city. The residency system imposes onerous requirements on Palestinians to maintain their status, with significant consequences for those who don’t, the organization added. Israeli authorities have justified most revocations based on a failure to prove a “center of life” in Jerusalem but, in recent years, they have also revoked status to punish Palestinians accused of attacking Israelis and as collective punishment against relatives of suspected assailants. The discriminatory system pushes many Palestinians to leave their home city in what amounts to forcible transfers, a serious violation of international law, according to the report. Human Rights Watch interviewed eight families in Jerusalem whose residency has been revoked between March and July 2017, reviewed status revocation letters, court decisions, and other official documents, in addition to speaking to their lawyers. One man whose residency Israel had cancelled said he had to scale Israel’s separation barrier to attend a family wedding in another part of the West Bank. Another said Israeli authorities refused to issue birth certificates to his five children, all born in Jerusalem. Other Jerusalem residents without residency status interviewed described being unable to legally work; obtain social welfare benefits; attend weddings and funerals; or visit gravely ill relatives abroad, for fear Israeli authorities would refuse to allow them to return home. Residency revocations, alongside decades of unlawful settlement expansion, home demolitions, and restrictions on building in the city, have increased unlawful settlement by Israeli Jewish citizens in occupied Jerusalem while restricting growth of the occupied Palestinian population. This reality reflects the Israeli government’s goal of “maintaining a solid Jewish majority in the city,” as stated in the Jerusalem municipality’s master plan: “Jerusalem Outline Plan 2000”, and limiting the number of Palestinian residents. Originally setting a target “ratio of 70% Jews and 30% Arab,” planners later acknowledged that “this goal is not attainable” in light of “the demographic trend” and adjusted to a 60-40 target. Palestinians constituted 37 percent of Jerusalem’s population in 2015, according to Israel’s Central Bureau of Statistics.